And wings that can't fly." 'Cause this isn't anything new. The one you taught me last. You would never come back. I am too weak to cry. A born singer and an IIT-ian, Kuhoo Gupta writes when her imagination runs wild in pursuit of creative and spiritual satisfaction. Inspired by Gulzar, she states that writing is cathartic for her. 'Zindagi Ke Martbaan Se' is a poetry collection written in conversational language - Hindi mixed with Urdu and English. The poems are inspired by a plethora of topics like love, nostalgia, remembrance, random human emotions, natural beauty and spirituality. It is something everybody will be able to relate to because it is inspired from the jar called LIFE that everyone goes through. It is something that will make you cry, smile or just appreciate in your leisure moments. To read the full review of 'Zindagi Ke Martbaan Se', click here. It’s always a pleasure reading good poetry, especially when the simplicity of the words and the context tugs right at your heartstrings. Ask me about one such poet I have read recently, and the first name that comes to my mind is Kuhoo Gupta. 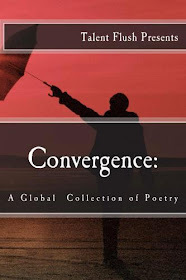 Kuhoo, congratulations on your published collection. It was a pleasure reading it, and I am glad to be having this conversation with you. In case you find any question offensive, you can skip it. I apologize in advance for such instances. An IITian, a singer and a poetess, you surely are one multi-talented personality. How did the transition from technology to poetry happen? Thank you. There was no transition so to say. Logic/analytics is for the left brain & art is for the right brain. I had both of them working for me quite well since my childhood. I was a good student in school & started to sing at the age of five. While good left brain helped me become an engineer, good right brain helped me become a singer & a poetess. I enjoy other art forms as well like dance, painting, crafts etc. We all know you are a big Gulzar fan. Which of his works inspire you the most? jeene ke liye socha hi nahi..dard sambhalne honge..
muskuraayein to muskuraane ke karz utaarne honge..
Tell us about ‘Zindagi Ke Martbaan Se’. How did the book happen, right from the conception to the initialization and holding a copy in your hands? I used to write poems for cathartic purpose but never posted them in public. One day I realized I have lot of them that I can publish & put out in the public. I researched how to publish a book & zeroed upon self publishing option. So, I myself did the entire formatting, editing and polishing of the manuscript. I designed the cover myself. And under the guidance of one of my friends, I self published the book & it is now available on major online stores! When I got the author copies, it was an overwhelming feeling to hold them in my hands! I was choked with emotions. Indeed all authors feel the same way holding the first copy in their hands. What were the hurdles you faced while working on this book? What have you learnt from them? As I mentioned above, I never wrote the poems with the intention of getting them published. Whenever I felt like, I penned down stuff. But there are few things that I learnt during the actual editing & publishing process. Most of it relates to the logistics of it & I hope to write a blog post for the same sometime soon. Which poems are your favorite in the book? I know for a writer all his/her works tend to be special, but if I request you to pick up three poems that you would love to read aloud to your friends, which would you select? Hmm, they would be ATM, Ulkaapind & Technology. Tell us about your childhood and your family background. I come from a middle class family. My childhood was beautiful. My father is a banker and I do not know anything about banking! My brain just refuses to understand money matters! My mother, because she does not do a day job, is technically a housewife but she is actually much more than that. I got singing & other artistic skills from my father, he is a bathroom singer because he never cared to develop the skill, otherwise he would have been a good singer by now. I got a good part of left brain from my mother; she is a post graduate in Economics & had always been a bright student. What are your views on ‘Writer’s Block?’ How do you feel they should be tackled? Writer’s Block is essential to bring out something new & creative out of the writer. One should go with the flow, do not stress out on not being able to write. It is because you are refilling your creative juices. A writer needs a pit stop too! Where do you see yourself ten years down the line? I do not know where I am going to be professionally ten years down the line. It is way too long to plan & expect. I take every day as it comes & try to do something useful/new/creative/satisfactory before heading to sleep. I would like to continue this trend. And hopefully this would leave me in a much more evolved, happier & peaceful state ten years down the line. That is the only thing I look forward to. Everything else that I get would be a bonus for sure that I would be grateful to life for. What would you like to say to aspiring writers? Write, take a pit stop, look back, retrospect, improve, write, take a pit stop .... and so on! Read my poems once, rest for a while & read them again. You will definitely understand a deeper aspect and a new perspective. If you have any kind of feedback for me, please do share it. The contact information is there on the book and my website (www.kuhoogupta.com). Thanks a lot Kuhoo for your valuable time. Wishing you all the best for your current and future endeavors. Bold, brazen and defiant, Sita’s Curse looks at the hypocrisy of Indian society and tells the compelling story of a middle-class Indian housewife’s urgent need for love, respect, acceptance – and sexual satisfaction. 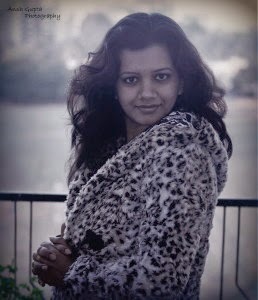 Sreemoyee Piu Kundu, a former lifestyle journalist with publications such as TOI, MetroNow and Asian Age and a PR head, is a full-time writer based out of New Delhi. An alumnus of Loreto House & Jadavpur University, Kolkata, Sreemoyee is also a prolific poet. Sreemoyee has just completed her third novel. It’s not every day that I come across a book that leaves me in a dilemma – did I like it or not? To understand and respond to this question, we have to acknowledge the fact that this book is meant to be an erotica, and deals with an Indian woman’s need of love and acceptance along with sexual gratification. The story line might offend a few sensibilities, but then, if one has picked up a book and is well aware of its genre, it should be read keeping that in mind. ‘Sita’s Curse’ by Sreemoyee Piu Kundu traces the journey of Meera, right from her childhood, teenage and adolescence to her marriage with Mohan. Her life is plotted amidst urge and desire of being wanted, always seeking company and affection, embracing whatever life has to offer her. Her trysts with several men, and a woman, including her own twin brother and a God-man, might leave you cringing at times, but the book, aimed to be bold and brazen, does full justice on that front. Meera, the protagonist, shines in every frame. She is the star of the show, ruling the words enclosed in the pages, making you feel her presence as you read about her life, the slight tinge of familiarity smiling back at you. Meera is sensual, beautiful, a dream and a fantasy, inviting you to know her better, to love her and to want her. Meera is the perfect character for a subject like ‘Sita’s Curse’. The narration is top class, those beautifully designed words keeping you hooked to the book, and though Meera’s rendezvous with several men does get a tad monotonous towards the last few pages, you cannot stop wondering what would eventually happen to her. In a way, Meera turns out to be an addiction that you can’t get rid of easily. And that brings me back to my first question – did I like the book? In parts, yes. I loved the fluency of the language and how Sreemoyee described the scenes vividly, as if you are watching a motion picture. The pages come alive and flow before you, immersing you in its spicy concoction. However, at times I did feel that the book had been dragged unnecessarily. But then again, if you ask me which sections should have been left out, I can’t point out any, since every frame of the book was necessary for providing it with the aura of completeness. One thing about the book that disappointed me was the usage of Hindi lines. In my opinion, Sreemoyee shouldn't have had resorted to them as they somehow diluted the classy ambiance that she had created through her beautiful usage of language and words, the imagery profound and meticulous. However, if we ignore that part, considering that the Hindi lines were used to make the situation appear more realistic, then I would surely recommend ‘Sita’s Curse’ as one of the must read books this year. However, pick it up only if you are comfortable with the genre erotica, else the bold overtures may not go down well with you. This Haiku is shared with Haiku My Heart - Soul Humming. My blog turned two yesterday. 16th May. Strangely enough, I didn't feel the need to write much yesterday. Or for that matter, in the last few days. For someone who has been blogging regularly since the last two years, targeting at least one post per day, it was ironical that the last poem was posted almost a week ago. Well, to be honest, I had decided to take a break from writing, to concentrate on other avenues, which I termed as more profitable ventures, not related to writing of course, but in areas that would help in my sustenance. Perhaps a better, more practical approach to life, something that's 'normal', something that everyone does, focusing on ways to improve in other areas, trying to rise higher in quest of a brighter future. Why should I write? I often questioned myself, self-doubt playing crazily on my mind. Writing takes time, and they are mere words that float on pages. What would I get out of it? How can I get anything out of it? And so, I decided to stop it for a while. Until today, when the question came floating back in my mind, rephrasing itself. I started this blog on 16th May, 2012. I had challenged myself to write at least 20 posts that year. As I checked my blogger stat today, 789 posts stare back at me. Never ever had I dreamt of writing even a hundred post in two years, and that's what makes me feel ecstatic about myself. And I got the answer to the question that has been ringing since long. Life is too short, as we all know. What would happen the next moment, we can never guess. But what we can do with these moments, we can always plan. Passion is God's way of drenching us with the blissful nectar, gifting us with the desire to live our life the way we want to. True, we would have other commitments. True, there would be moments when things wouldn't roll as smoothly, and hurdles would creep up on the way, but that doesn't mean we should let go of our passions. What can life be without it anyway? I thank you all for being a part of my journey. Two years isn't a very long time, but it has been great thus far. Posting a poem, or a story, or just a random thought, waiting for your comments, and reading all of you, learning from you in the process, striving to be a better writer, a better person. And the best thing about blogging ... I have made innumerable friends, who have gradually turned into my closest buddies. Now, Why Should I Write? does have a fitting reply. Quitting isn't the solution, but a better time management is. Time, always so precious, and we squander it so recklessly. Time, the route to our success, the excuse to our failures. Let's blend our passion, duty and responsibilities, balance this mixture with time, and savor the heady concoction. Life would never let you complain again. Trust Me !!! "Zindagi Ke Martbaan Se" is a poetry collection written in conversational language - Hindi mixed with Urdu and English. The poems are inspired by a plethora of topics like love, nostalgia, remembrance, random human emotions, natural beauty and spirituality. It is something everybody will be able to relate to because it is inspired from the jar called LIFE that everyone goes through. It is something that will make you cry, smile or just appreciate in your leisure moments. A few words, simple yet meaningful, traversing deep into your soul, lightning your heart in ways more than one, and you know, those words are here to stay. Often, poetry has the power of liberation. They are created for the want of freedom, the urge to resonate in dreamy castles, softly, but with an impact that’s difficult to ignore. 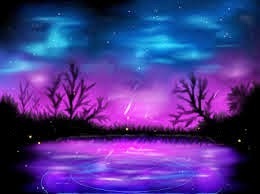 A true poetry is one that embraces you in its mysticism, the magic of its words exploring the various facets of your soul, swirling in motion with a new found rhythm. 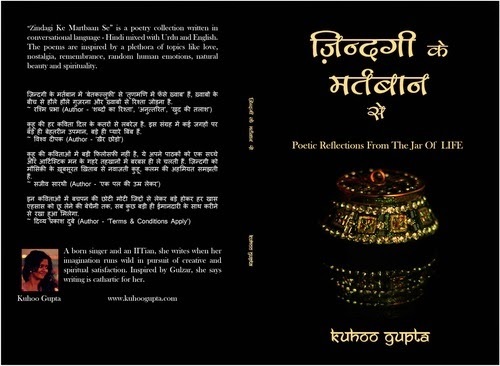 Kuhoo Gupta’s poetry collection ‘Zindagi Ke Martbaan Se’ does full justice to the above definition. A die-hard Gulzar fan, Kuhoo delves into the human mind and psychology, carefully caressing the emotions that lay deep within, and gives them the form of words that stay with you long after you are done reading the book. 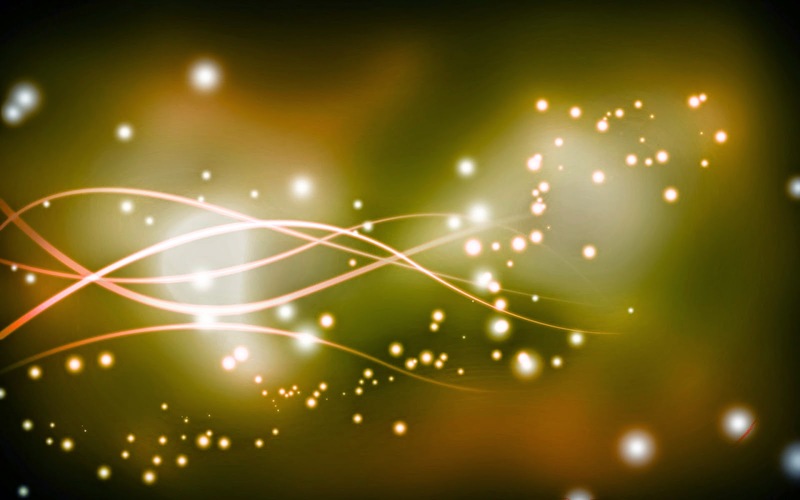 The verses, at times free, and at other times rhythmic, are musical, and melodious, like the subtle chiming of bells, creating an aura that can be termed soulful and serene. Yet, Kuhoo doesn’t resort to heavy words and phrases to achieve the means. The biggest plus point of this collection is the simplicity of words. Her poems are written using words that we use in our day to day conversations, and as such manages to leave a deeper imprint in its wake. The topics too, revolve around our everyday lives, familiar and close, making us relate to the poems with utmost ease. ‘Zindagi Ke Martbaan Se’ is a collection of 79 poems in Hindi language, and as the title suggests, they are inspired by our lives and the stories that revolves around each one of us. 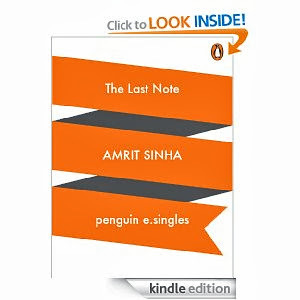 To be honest, I was surprised by the title of the first poem in the book – ‘ATM’. Now, you tell me, how can an ATM evoke emotions that can be deep and at the same time lead to a resonating poetic verse? Quite unnatural I would say. Kuhoo, though, had something different in her mind, and she surely managed to excel in handling topics like these, unconventional yet a part of our day to day thoughts. Kuhoo doesn’t follow a definite guideline in forming her poems. While some poems comprise of a couple of sentences, a few others flow across pages. In a way, she has unharnessed her words, not saddling them into boundaries and has kept the lucidity pure and true. Isn't that what we all search for in a poem? 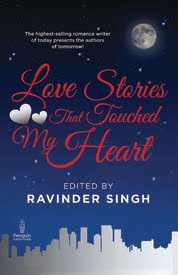 Almost all the poems in this book have that innocent charm in it, like honey dripping softly across rose blooms, fragrant and glowing with the first rays of dawn. The genres are innumerable, yet they all say stories that tug at your heart strings, making you want to read more and more. In simple words, the poems are addictive, and once you start reading one, you can’t stop till you have finished reading all. I would recommend ‘Zindagi Ke Martbaan Se’ to all lovers of poetry. It is an intoxicating concoction that can be savored at any hour of the day, irrespective of the ambiance. Read through the pages and immerse yourself in this beautiful bouquet of verses. This Poem is shared with Three Word Wednesday - Burn, Hue, Moral. Let's pull him down here"
And he soon became the fish's cake. This Limerick is shared with Limerick Break (Limerick-Off Monday). This Poem is shared with Three Word Wednesday - Acrid, Dramatic, Quarantine. This Haiku is shared with Carpe Diem Special #90, Jack Kerouac's "glow worm." This Poem is shared with Theme Thursday - Winds. 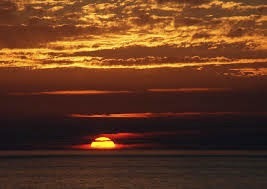 This Poem is shared with Poetry Jam - Sunset.